India brings several interesting and very different stories of kings and princes; some who became heroes for their valiance and brave feats achieved during battles and wars; some who came to be known for their kindness and compassion; yet others who were most infamous for their heartless and cruel behavior. Set apart from all the afore-mentioned categories are rulers who were renowned for their truthfulness - who became legends for unswervingly treading the path of righteousness. One such persona was King Harishchandra. Harishchandra was renowned for two rare qualities - firstly, for never uttering a single lie in his life and secondly, for never going back on a promise he made to someone. In this post, we bring you the story of this king. Harishchandra was a famed Indian ruler, whose name appears in several major Indian texts and treatises, such as the Mahabharata, Markandeya Purana, the Devi-Bhagavata Purana and the Aitareya Brahmana. The story of this king, which first features in the Vedas and then in the Puranas as well, is most interesting and intriguing and has illuminated the lives of many a great legend. It is believed to have helped Yudhishthira, the eldest Pandava prince, to go beyond his adversities and tread the path of righteousness. This story also inspired Mahatma Gandhi, the Father of the Nation, to follow the path of truth. Harishchandra was a great monarch, belonging to the Ikshvaku dynasty (Lord Sri Rama's lineage). Several years had passed after his marriage, but he did not have children. Both he and his wife, Taramati, yearned for a child and undertook many a ritual and pilgrimage for begetting a son. 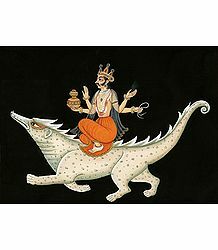 Then, they decided to pray to Lord Varuna (the Rain God) in order to invoke his blessings. Varuna was pleased with them and blessed them with a son. However, he also wanted them to sacrifice the child to him. The couple was helpless and was forced to agree to the condition laid down by Varuna. In due course of time, the son was born to Harishchandra. While they were ecstatic by the birth of their first child, they were also anxious when they realized that they had to keep up their promise to Varuna. A few days later, Varuna appeared before them and demanded that the child be offered to him as a sacrifice, as they had promised earlier. Harishchandra pleaded with the God and requested him to let the infant stay with them until he developed his teeth. Varuna agreed and returned once the child developed his teeth. Still unwilling to let his son go, the king asked the Lord to wait till the child had had his tonsure ceremony. Once again, Varuna agreed and went away. Harishchandra kept making newer excuses and Varuna kept agreeing to them. A few years went by this way, by which time, the boy was old enough to understand everything going on around him. He came to know the story behind his birth and that he should have been handed over to Varuna a long time ago. Disappointed with this parents' lack of integrity, the boy absconded from home and ran away tlando another . This enraged Varuna, who came again, wanting the child back. By this time, Harishchandra was afflicted by a deadly strain of dropsy. Seeing his pitiful condition, Varuna himself relented and told him that did not want the boy back. He also blessed the king that he should be free of his disease. Harishchandra realized his folly and knew that this was his punishment for not having fulfilled his promise to God. He felt really bad that he had cheated his own Lord and vowed then and there, that he would never lie or go back on his promise anymore. Thereafter, he stayed true to his resolution and lived a life of truth and righteousness. This gave him the name, 'Satyavrata', or the observer of truth. One day, in the court of Indra, the God of the Gods, some earthly matters were being discussed by the sages and Devas present there. Indra raised a doubt whether there were at all any honest and truthful human beings on earth. Sage Vasishtha mentioned the name of Harishchandra. This incensed Indra, who was aware about how the latter had cheated Varuna by not fulfilling his promise. To this, the sage replied that the king's past was of no consequence now, because he had truly changed and become a pure and honest man now. He also confidently stated that, if he was proven wrong, he would dismantle his jata (tightly wound locks of hair), letting his hair loose, and also walk away, bare-bodied. When all these discussions were going on, Narada asked sage Vishwamitra what he would do if Harishchandra stuck to path of truth, as he had promised. Vishwamitra replied that he would give the king half the quantum of divine blessings and grace that he had earned throughout his lifetime, and that he would make him a world-renowned monarch. The sages then decided that they would join forces in order to test Harishchandra and see how well he fared in his life. Thus started the most difficult phase in the ruler's life. Sages Vasishtha and Vishwamitra returned to earth after their celestial meeting and put their heads into planning ways and means by which they could test Harishchandra and lead him on the path to sin. They were plotting to rid him of all his wealth, to see if he would lie at least then. In the meantime, the ruler, blissfully unaware of what was happening around him, continued to be the ideal husband, father and king. Some followers of Vishwamitra approached him and informed him of a religious sacrifice, the Bahu Suvarna Yagna, also stating that he would be the most qualified person to conduct the same. Harishchandra heard them out and then promised them that he would make all the arrangements to conduct it, along with the other sages. One of the conditions of the ritual was that the king should distribute unlimited gifts and wealth after the sacrifice - which he should give away whatever anyone asked for, even if it eventually hurt him to do so. King Harishchandra was well aware of this condition, and yet he agreed to conduct this sacrifice. He gave away much wealth, gifts and food to the poor and the needy. By the end of the yagna, his subjects and the sages conducting the ritual were all pleased and satisfied. Vishwamitra, however, wanted to test the king even further. He approached the king and demanded that a man should stand on the back of an elephant and toss a coin in the air, up to a certain height. He then said that the king should pile up money and jewels so as to measure up to that height and give the same away to him. Harishchandra instantly agreed to this demand and arranged for the wealth to be sent to the sage's ashram. Bewildered by his integrity and generosity; also disappointed in his own failure; Vishwamitra left the wealth and gifts there, saying that he would send someone to pick up his gifts, at a later time. Harishchandra had clearly won this first round of tests. Vishwamitra was getting more worried by the minute. He had not succeeded in this round and would be ridiculed by the Devas if he failed once again. Ever since the yagna, Harishchandra was earning more and more respect from everyone around. The sage thought for some time and then decided to completely rob the king of his power, so that he would have no other choice, except to lie for his survival. He used his siddhis (magical powers) to create several wild animals and let them loose inside the kingdom, so that they could make the subjects suffer to the maximum. The wild beasts, pests and insects that the sage created, wrought immense damage on the kingdom. They attacked farmers' fields, destroying crops; destroyed food and other supplies; and damaged people's homes. The suffering subjects beseeched the king for redressal of their issues. The king assured them that he would do everything in power to set right the great misfortune that had befallen his kingdom. He then set out to hunt the animals causing the damage and kill them. Reaching the interiors of the jungle, he spent all day finding and slaying them. As he proceeded yet deeper into the jungle, he unexpectedly came upon a sanctuary where wild animals lived together in a peaceful environment. On venturing ahead, he approached a hermitage he had never seen before. As he neared it, he realized this was the ashram of his family teacher, sage Vasishtha. The locale was calm and serene and soothed his frayed nerves. After taking the blessings of the sage, he told him about his errand and then left to travel yet deeper into the forest. By afternoon, he reached another hermitage - that of sage Vishwamitra. But as he neared the place, he could feel a tangible change in the atmosphere. Tired, he decided to rest a little before visiting the sage. He lay down with his head resting on his wife's lap and soon went into a deep slumber. When Vishwamitra came to know that the king was near his ashram, he started feeling restless and his feeling of revenge came to the fore. Still smarting at his humiliation the previous time, he vowed to defeat Harishchandra this time. Using his yogic powers, the sage created two beautiful girls. However, as his intentions were evil, the girls were made of filth and dirt. He then ordered them to go to the king and tempt him to commit sin. Sage Vishwamitra was rather infamous for his spiteful and vengeful nature. Once he decided he did not like someone, he could harbor ill-will against that person for a very long time. In the meantime, Harishchandra, who was sleeping, had a horrible dream. He sensed something inauspicious was about to take place. On getting up, he described the dream to Taramati. She tried to placate him, as did his son and minister. At this time, the two girls sent by the sage approached him and entertained him with song and dance. Their main purpose was to tease and annoy him, finally distracting him from the path of righteousness. They then demanded that he marry them. At this, Harishchandra flared up and referring to them as lowly beings that did not deserve to marry a mighty monarch as himself, asked them to leave immediately. When they refused, he beat them with a sledge hammer and drove them out. The girls, in tears, rushed to Vishwamitra, begging for his help. This moment was just the one the sage had hoped for. Burning with indignation, he approached the king and stood angrily before him. The monarch respectfully greeted and welcomed him, also apologizing for any fault shown in his duty towards him. All the while, Harishchandra could not but help noticing the difference in the aura between this sage and that of sage Vasishtha. The latter had been so calm and graceful, whereas Vishwamitra's whole being seemed to be one contorted bundle of hatred and rage. Vishwamitra mercilessly shouted at Harishchandra for killing his animals, as also for beating up his girls. He demanded that the latter marry them forthwith. When he refused to do so, the sage grew even more resentful and abusive. Finally, in order to placate the sage, the king offered to give up his kingdom to him. The sage agreed in a trice and asked Harishchandra to give up his entire kingdom to him. The monarch agreed without batting an eyelid. The sage, however, was adamant that he pass on his power to him in the presence of all his subjects. Agreeing to the sage's wishes, he seated the sage in his chariot and followed him on foot, all the way back to the kingdom. Once back in the palace, he summoned his minister, court officials and all his subjects, and handed over all his royal and administrative powers to sage Vishwamitra, in their presence. In spite of all this, Vishwamitra was still not satisfied. He demanded that the king take off all his jewels and those of his wife and child as well. He further gave them cheap garments and asked them to hand over their expensive silks and other clothes to him. Harishchandra then requested Vishwamitra to give them permission to leave. The sage, still resentful, half-heartedly gave his consent. On stepping out of the palace, the citizens were confused on seeing their king and his family in such a sorry state. He consoled them, and, telling them that Vishwamitra was now their ruler, proceeded to walk away from them all. Still not satisfied with all his newly-gained possessions, Vishwamitra stopped Harishchandra in his tracks and demanded the gifts that he had earlier agreed to safeguard, till the time the sage came to claim them. The latter had nothing else to offer now - he had handed over everything to the sage. However, Vishwamitra stubbornly insisted that he expected those gifts back and gave Harishchandra a time period of 48 days, within which he would have to return those gifts to him. The sage then asked one of his followers, Nakshatraka, to follow them and relentlessly torture them, till the time they had paid up their dues. He himself decided to take the shape of terrible storms, fire, thirst, hunger and various wild animals, in order to make them lose their way; finally forcing Harishchandra to utter at least one single lie. Harishchandra was now a pauper and could not hope to pay Vishwamitra's debt. He decided to go to Kashi or Varanasi and collect money by taking a huge loan and then working hard to repay it. They had to travel through a dense jungle in order to reach Varanasi. While that was difficult in itself, Vishwamitra created limitless troubles for them. They all suffered immense trauma, both physically and mentally. However, Harishchandra never once swerved from his vow of truthfulness and righteousness. Additionally, the power of Taramati's chastity also protected them all from permanent harm. On reaching Varanasi at last, they felt even more lost in a strange town; among strange people. They then went to the temple of Lord Vishweshwara (Shiva) to offer their obeisance to him. They were all wondering how to clear all their debts, when Taramati suggested that he sell her and their son, in order to pay up all their debts. Harishchandra was shocked when he heard her utter those words. He could not even think of doing something so lowly. She insisted even as he started mouthing his refusal. Eventually, the once-powerful monarch; a descendant of the mighty lineage of Lord Rama himself; prepared to sell his wife and son. He wandered from street to street, offering his wife and son for sale. After a long time, one Brahmin seemed slightly interested. He, however, found fault with the wife, saying that she looked too old. He also said that son looked too weak. Then, after much haggling, he bought them both for cash. The king paid this money to Nakshatraka, thereby debiting some amount. However, a large part of the loan remained unpaid. As the day for the full repayment of the debt neared, the king got more and more panicky. He decided he would sell himself as well and so, he roamed around the streets of Varanasi, yelling, "I am a king of the Ikshvaku dynasty. 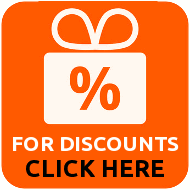 I now offer myself for sale". Finally, a man offered to buy him. This person was Veerabahu, an outcast, who was in charge of the burning-ground. He was obviously drunk and his breath reeked of alcohol. For a moment, Harishchandra wondered if he was doing the right thing by accepting this drunk's offer. After all, he came from the exalted Ishvaku dynasty and this was way below his caliber. However, there was no other way he could repay his debt and so, he accepted Veerabahu's offer. He told him about the amount he had to repay, telling him that he would have to stand atop an elephant and toss a coin - he would then have to pay up gold and money that reached up to that height. The latter asked him what Harishchandra would do for him if he were to pay up the required wealth. The king promised him that he would forever remain his servant and do his bidding for the rest of hs life. Veerabahu agreed and paid the money to Nakshatraka, thereby clearing all of Harishchandra's debts. Nakshatraka was amazed at the amount of money heaped up before his eyes and also felt bad at the way his Guru, Vishwamitra, had tortured a pure soul such as this noble king standing humbly in front of him. In any case, he did his duty and took all the money back to his Guru. When Nakshatraka came back with all the money, Vishwamitra got even more angry and upset. He had never failed in any challenge and this defeat was too much for him to take. He decided to unleash even more tragedies on Harishchandra. Taramati and her son, Rohitashwa, were serving at the Brahmin's house. The Brahmin was, in actuality, an evil manifestation of Vishwamitra himself. He kept harassing them endlessly. They were already being treated badly out there - slaving away for him; being starved and scolded all day long. They, though, kept struggling through it all, hoping and praying for better days. One day, Rohitashwa went to the forest gather wood. There, he was stung by a poisonous serpent. Taramati came to know of his death only late evening. She was completely heartbroken. Her son was the only little solace to her and he too had gone. However, she tried to compose herself. She realized that she was all alone and was the only one to cremate her son's body. Even to do so, she had to take her master's permission. The evil man gave her permission for only one day. Weeping inconsolably, she went into the forest, in search of her child's body. Finding it, she wept her heart out. She then lifted his lifeless body and walked to the cremation ground. Placing him down gently, she went in search of firewood for the funeral. Since she had no money, she had to collect it all herself. Finally, she collected enough firewood and was about to light the fire, when Harishchandra, who was guarding the ground, snatched the firewood from her hands and, holding the boy's dead body by the toe, hurled it away from the funeral pyre. 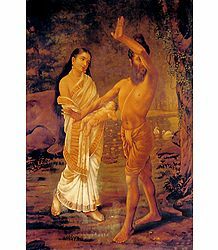 Taramati shed bitter tears, beseeching him to permit her to cremate her dead child. Not recognizing her or the child, Harishchandra demanded that she first hand over the boy's clothes to him and also pay up the prescribed fees for the cremation. She told him that she was penniless and, therefore, could not pay him. He suggested that she pawn her mangalsutra (symbol worn around the neck by married women) and bring him the required money. Taramati bemoaned her condition and the fact that her son - a prince of the Ikshvaku dynasty - had to endure this unceremonious funeral. Vishwamitra, who was repeatedly facing defeat the hands of Harishchandra, made a final bid to trap him. The same night that the boy died, some bandits kidnapped the prince of Varanasi and killed him, in order to take all his jewels. Hearing the child cry for help, Taramati, in her distraught condition, thought it was her son crying out for her. She rushed to the dying boy and tried to soothe him. The bandits quickly packed up his jewels and left the place before anyone could spot them. Seeing Taramati near the boy, the king's men misunderstood the situation and thought that she had murdered him. They forcefully took her to the king's palace. When she was brought before the king, she looked disheveled and benumbed. She was not even in a position to speak up and explain her position. The king felt sorry for her, but decided that she must be executed for her crime. He ordered Veerabahu, the public hangman, to execute her. Veerabahu, in turn, ordered his new assistant to complete the execution of this woman. In the meantime, Harishchandra was awaiting the woman, hoping that she would return soon with the money to cremate her son. Now, he had to go and execute another strange woman. 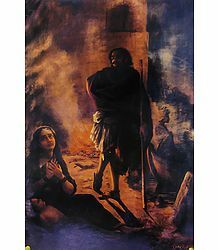 He led the woman to the gallows and asked her to say her last prayers. He did not know she was and did not care anyways. 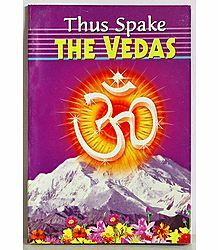 Taramati squatted on the ground and offered her salutations to her Guru, sage Vasishtha. She then looked skyward and loudly prayed for her husband, Harishchandra, taking his name; wishing that his name lasted forever and that his son came back to life. She also wished that Vishwamitra became immortal. With that, she asked the executioner to strike the blow. Hearing her words, Harishchandra was shocked out of his stupor and immediately recognized this shriveled woman, who was actually his wife. He also realized that this was the same woman who had brought her son to the crematorium, in order to burn his body. In spite of knowing this, however, he realized that he was merely a servant to his master and hence, had to do his bidding. He had no right to defy his master's orders and therefore, he had no choice, but to kill this wonderful woman, who was the love of his life. His pulse racing and tears coming to his eyes, he raised the hangman's sword and prepared to bring it down on his wife's neck. Dawn was just arriving and the Sun was rising on the mountains. Suryadeva (the Sun God) was gazing down at the brilliant glory of the Suryavamsa (the dynasty of the Sun) and was taking pride at the honor and integrity displayed by his descendant. All the Gods and angels too assembled to witness this heavenly event - when a mortal king would achieve Godhead. Vasishtha was fervently hoping that Vishwamitra would at least now realize his folly and liberate Harishchandra and his family from all their terrible troubles. 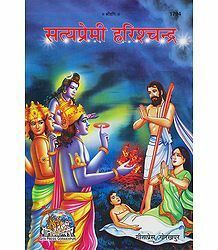 Just then, Vishwamitra appeared before Harishchandra and told him that he would pardon him and bring his son back to life, also giving him back all his wealth and power, on one condition - that he married the 2 girls that had entertained him at an earlier time. Only then did the king realize that all he had endured was not a result of karma, but occurred due to the evil machinations of this Guru standing menacingly in front of him. He had had enough and with determination ringing in his voice, refused his Guru's offer, saying that he would not yield to any sort of temptation. Saying thus, he lifted his sword and prepared to behead his wife. Just before the blade could touch her neck, Lord Shiva, Lord Vishnu and Lord Brahma, appeared before them. This was the ultimate triumph of truth. They blessed Harishchandra and revived his dead son, Rohitashwa. Vishwamitra prostrated before the Lord. He went on to speak about the feud between himself and sVasishtha and how that became the prime cause of Harishchandra's suffering. He then also explained that all that suffering was an illusory drama and that the evil Brahmin, who bought Taramati and Rohitashwa, was actually Lord Agni, the God of Fire. Veerabahu, who bought the king, was actually Yama, the God of Death. The sage then officially stated, in front of all present there, that Harishchandra had indeed won the challenge and that he would give back all the wealth and power, and also half of all the grace that he had earned in his lifetime of penance. The angels showered flowers on the king and his family, also returning him to his kingdom. All his suffering turned out to be a blessing in disguise, as the world had been witness to the true power of his truthfulness and virtue. The tale of Harishchandra influenced several great figures in India, inspiring them to take up the path of truth, righteousness and virtue. 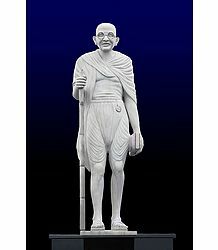 One shining example was Mahatma Gandhi, the Father of the Nation. In his childhood, he had watched a play depicting the ruler's life and times. He had then sworn that he would emulate the mighty monarch and live a life of truth. He stuck by his word and never once swerved from the right path. Harishchandra has been the subject of several Indian books, plays, documentaries and films. The first full-length Indian feature film was titled 'Harishchandra' and was made in 1913. 'Ayodhyecha Raja', made in 1932, was the first "talkie" Marathi film, based on the ruler's life. This was later remade in Hindi, under the name 'Ayodhya Ka Raja'. 'Satya Harishchandra' was a popular Kannada film, made in 1965, narrating stories from the monarch's life. Originally filmed in black-and-white, it was digitally colored and re-released 4 decades later. There is a temple dedicated to the worship of Harishchandra in Pimpri, Maharashtra. Legend has it that Yudhishthira, the eldest Pandava Prince, was deeply influenced by the story of Harishchandra. It is said that he heard the story at a young age and immediately vowed to follow the Dharma (the path of righteousness), no matter what he had to endure for it. He adhered to his vow and never spoke or did anything that veered from the path of Dharma. Ultimately, he too came to be known for his truthfulness and integrity. The similarity between these two individuals, though, does not end here. Both of them were great rulers as well, but both, unfortunately, ended up selling their wives and families; also becoming slaves themselves. Harishchandra had been the victim of Vishwamitra's maneuverings and had endured suffering because the latter had artificially created them for him. Yudhishthira brought on his sufferings as a result of his own behavior. He had a weakness for gambling; especially for the Game of Dice. He had given in to that weakness and had been defeated by it. That was the lack of virtue displayed by him. In Harishchandra's case, his wife had herself asked him to sell her, in order to repay part of their debt. He was unwilling for it, but was forced to do so, being the victim of circumstances. In stark contrast, Yudhishthira had agreed to Shakuni's and Duryodhana's condition that, if he lost the Game of Dice, he and his entire family would have to become slaves of the Kauravas. He had not taken his wife, Draupadi's permission, before accepting the condition. Harishchandra had first sold his wife and son to the Brahmin; that too, at her behest. He was not a slave to anyone at that time. Yudhishthira, on the other hand, had first put himself at stake and then lost the wager. That meant that he had already become a slave of the Kauravas and hence, actually had no right to wager anyone else; especially not his wife.